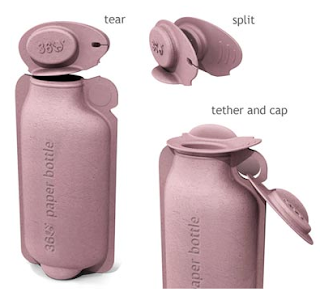 A clever concept that is friendly to the environment. 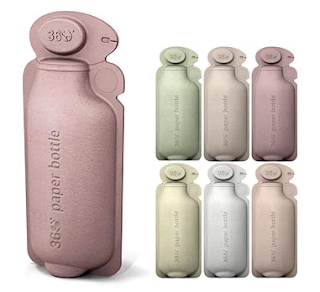 The paper water bottle via Brand Image. That's kind of funny and cool. Hey I was thinking maybe you should take the petite bread loaf pan off your wish list. :) Also, I was thinking that if you have already gotten me a skirt or dress or whatever I told you that's fine, but if you see some fun earrings around you could get those instead. Either one is a great gift though. Sorry about the lengthy comment. Love ya!